Called "Luthier" (a word derived from the French "luth" - lute). Every professional who builds stringed instruments (such as violins, violas, cellos, guitars, lutes and mandolins) The story gave us great artists in this area, where the technique of conjunction and care in building associated with a rare musical sensitivity were always their advantage. The Audiopax is internationally recognized for its amps and preamps but few know that the speakers were the first audio devices developed by our founder Eduardo de Lima and his deep knowledge in this field has led us to the revolutionary theories about the interaction between amplifiers and speakers, something later "translated" in all our equipment by Timbre Lock® unique feature. Much of our participation in international shows was made with boxes manufactured by us and in all these cases our rooms were considered one of the best (sometimes the best) of these events. 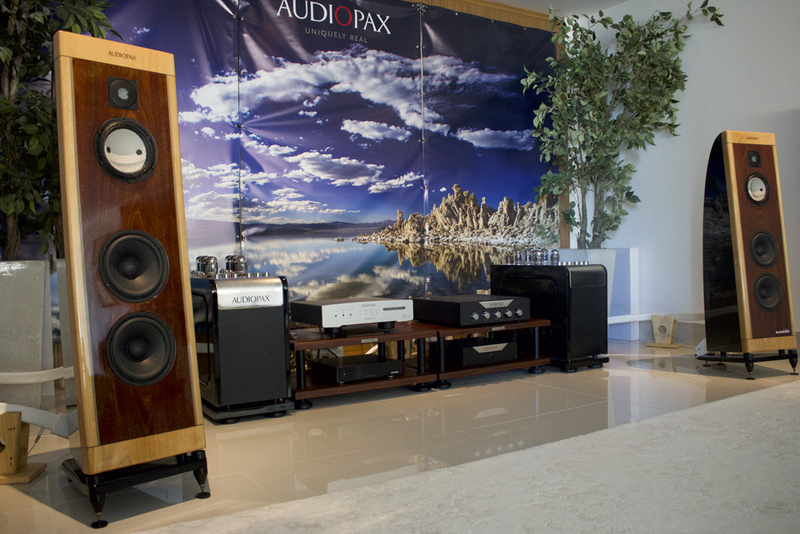 The Audiopax proud to be associated with the construction of its new line of speakers all their knowledge and background in engineering with the art of renowned luthiers, now exclusively dedicated to this Nov. challenge - providing tools for sound reproduction. 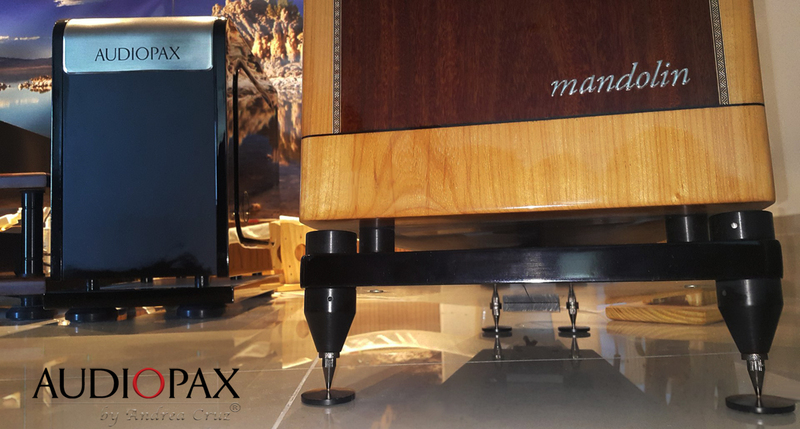 The result is readily apparent, not only for the stunning and unprecedented finish, with parallel only in the construction of the best musical instruments, as well as the listening experience, result in the choice of the best components without compromise. Extension, dynamics, timbre and musicality surrounded by a breathtaking finish. Musical instruments that completely disappear at the time of hearing, recreating with complete accuracy the original musical event. It is called "luthier" - a word derived from the French luth (lute) - any craftsman who builds stringed instruments (such as violins, violas, cellos, guitars, mandolins and lutes). The story gave us great artists in that area, where the combination of skill and care in construction with a rare musical sensibility was always his differential. 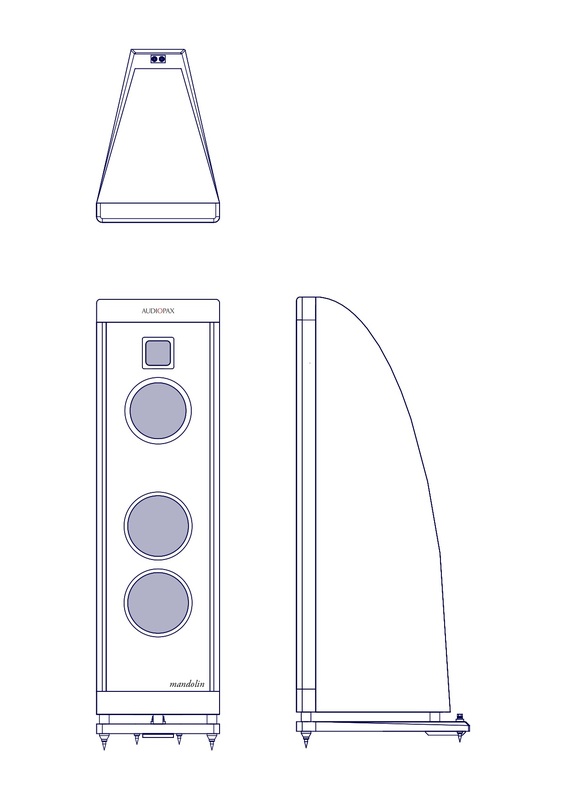 AUDIOPAX is proud to have associated in the making of its new line of speakers all his knowledge and background in engineering with the art of renowned luthiers, now exclusively dedicated to a new challenge - to create instruments for sound reproduction. The result is readily apparent, not only by the stunning and unprecedented finish, with only a parallel at the construction of the finest musical instruments, but also as the resulting sound.All projects Audiopax are based on a seemingly simple concept but entirely affects their implementations: we believe that one of the most important parameters of sound reproduction is the control of variations of the distortion function of frequency, power and impedance . In addition to being a unique concept - we know of no other company in the market that make it their basic development reference - is also as solid conceptually that can be applied to our entire product line. That way we can, for example, pursue this goal through innovative valve circuits or the speakers construction with mechanical properties, electrical and magnetic specifically designed for this purpose. The speakers Mandolin and Arpeggione are born this basic concept and it was pursued especially in acoustic settings, the crossover design and the choice and the construction of the drivers used to develop a speaker High efficiency and low coloring, both quickly and music. It should also be an easy adaptation box at any electronics and capable of displaying musicality and nuances of a frighteningly real way. The first challenge was related to the building: how to get the acoustic design minimal mechanical interference in the drivers depending on the power and frequency of the applied signal? Apparently the answer to this question led to a model almost impossible construction: complete absence of parallels and linear behavior of resonances within certain bands (driver the driver variables). We understand that we win this challenge with choosing the perfect professional for this task: Renato Lira, one luthier with 25 years of experience in the construction of acoustic and electric musical instruments. Together with the entire project team Audiopax he designed a visually innovative design that meets all the established noise requirements and that, despite maintaining processes with very difficult implementations, can be made possible within the premises of the true art "luthiery" : each box is always done by hand, just like the best musical instruments. The chosen format and details and interior asymmetries are directly responsible, together with the alignment Thielle / Small modified employee, control and clarity of bass and the absolutely consistent transition between all tracks. Also the drivers were chosen, modified and built to meet the control concept index frequency distortion variations, power and impedance, which is affected by the mechanical properties, electrical and magnetic properties of each unit. It's a set of decisions which committed relationships are always needed and often different paths are taken for each driver. 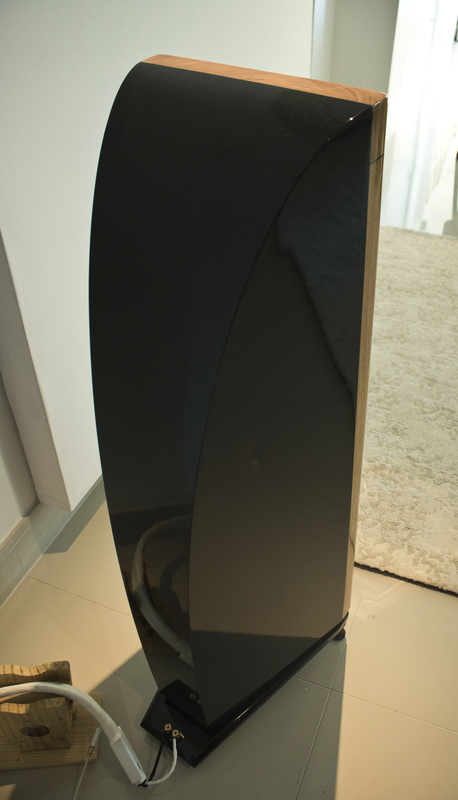 For the tweeter chosen a Scan Speak Ring Radiator, who with his patented membrane format silk proved to be the better and more balanced for this application. The average units were made according to each box using assumptions: for Mandolin used as a basis one of the rare examples of drivers made without mechanical compensation for distortion (something that escapes the natural behavior we want), adding to it first steps of handmade modifications within our laboratories. 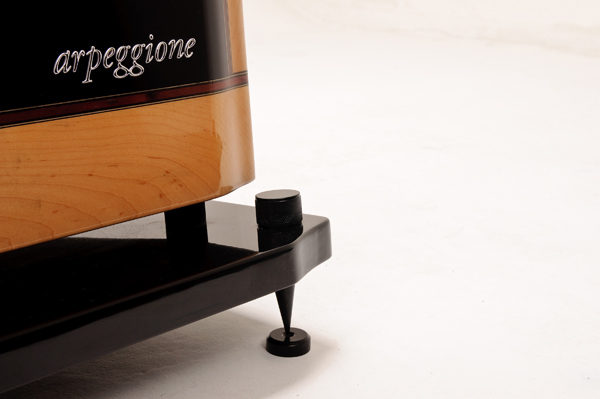 For the Arpeggione selected the best ceramic drivers of the market, something carefully married to the design and use of this box. Bass units, in both cases, are also based on modified commercial drivers according to our specifications by the manufacturer that created thus an exclusive series for Audiopax. 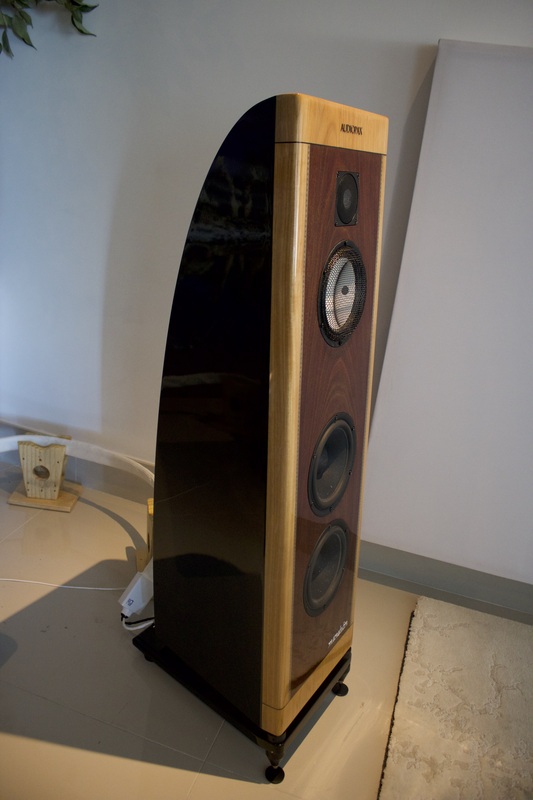 The choice of drivers with unusual characteristics (always related to the initial objective cited) also allowed the use of crossovers series / parallel, a topology rarely used in speakers to be extremely critical of the quality of material used. Over a year was spent on the project and the definition of parts used in crossovers. All coils are built by own Audiopax according to a unique technology patented by NuCore (from a use of chord between companies) and the capacitors are developed exclusively for the Audiopax the known audio market company high-end Jupiter Condensers, who worked closely with our engineers for two years to achieve our design assumptions. All this care resulted in the creation of the most exclusive (and expensive) crossovers already made, perfectly synergistic with the innovative acoustic design and the selected drivers. AUDIOPAX is internationally recognized for its electronics but few know that it started as a loudspeaker company and the study of the interaction between these components and the amplifiers led to the invention of award-winning feature Timbre Lock ®, used nowadays in all our amplifiers and preamplifiers. 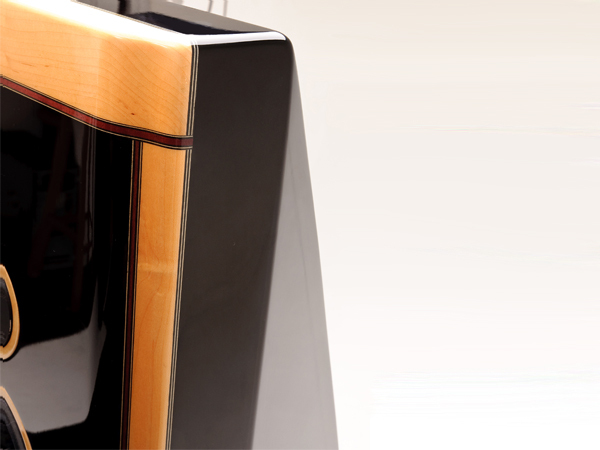 Our last generation of loudspeakers - the “Luthier Line” – won several nominations for "Best of Show" in Sao Paulo (HiEnd 2011 and 2012), Munich (High End 2011) and Las Vegas (T.H.E. Show 2011). 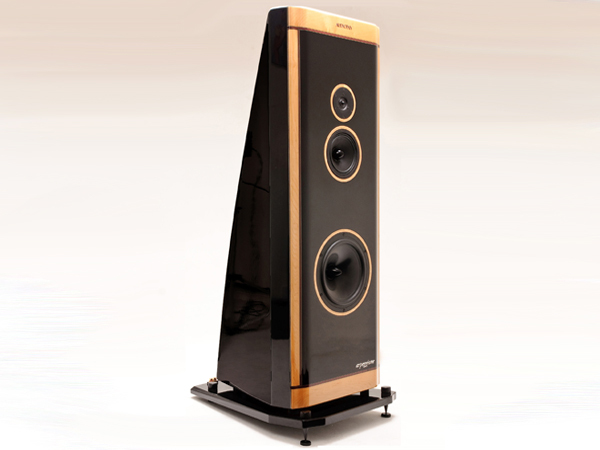 In his review of the Arpeggione Loudspeakers for the Audio & Video Magazine, the main high-end publication from Brazil, Fernando Andrette exposes his impressions about the result of the use of our unique philosophies related to sound reproduction, something that really differentiates us also in building speakers. 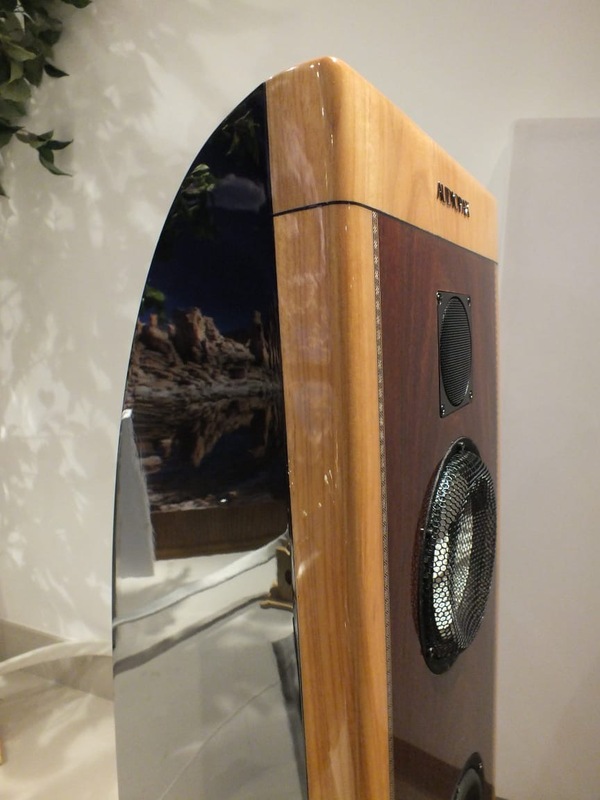 "The bass is of very high quality, in its extension as well as the air displacement and speed. Its profile is very impressive, with an degree of size, accuracy and intelligibility that makes you want to listen at a higher volume. 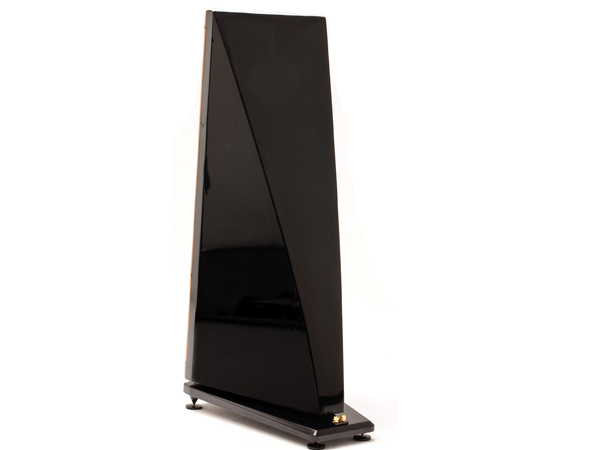 The mid-range appeared very transparent and incredibly natural and reminded me very much of electroacoustic speakers, such as Quads. 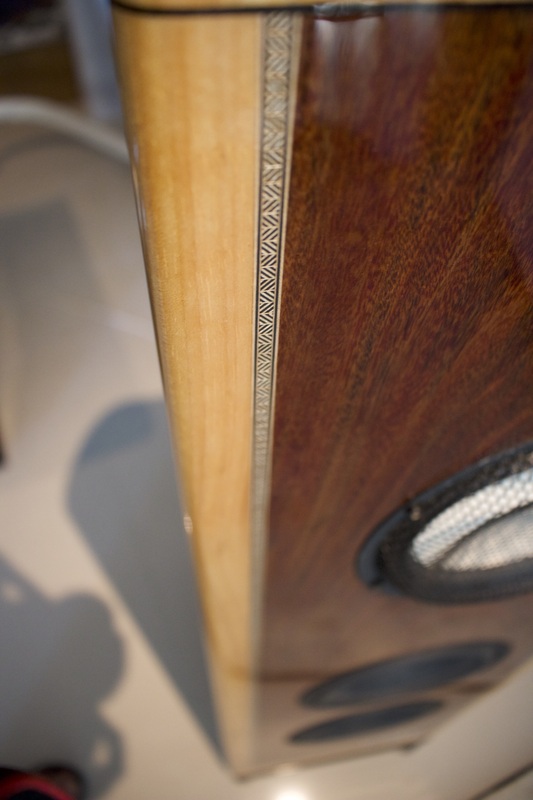 And the high-end also has great extension and smooth decay. "...I recently had one of those magical moments ... In the last CES show I listened to many demonstrations, some good, some interesting. Near the end, David Chesky pulled me to listen to some rooms that I had missed ... including the Audiopax. Seconds after the start I was totally immersed in the music ... David then asked me to pay attention to a certain detail of recording and remember the feeling of being torn from somewhere kilometers away to do so. So I answered it, I relaxed and I was transported again. 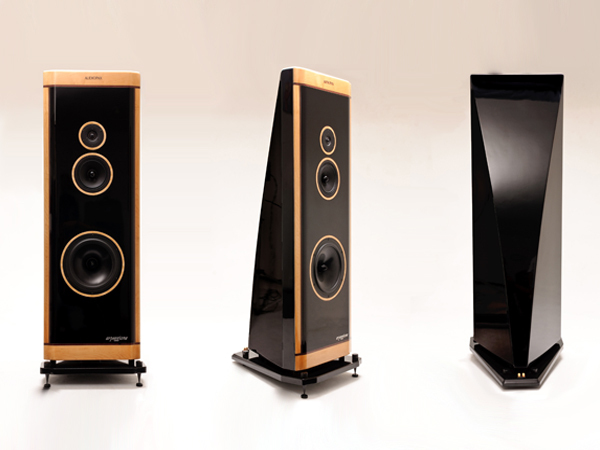 The system showed a huge response, soundstage, treble silk, natural tones, stunning resolution, etc.? I really can not say. At that moment, in that room, I was unable to listen analytically, I could just respond musically. The question is how to create this "ability to carry" in our equipment and recordings "? 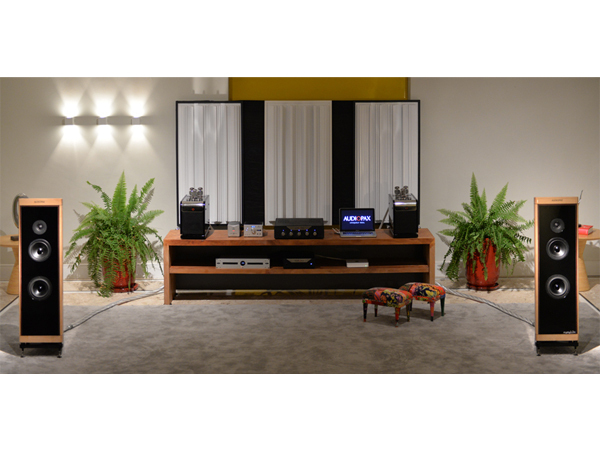 In his review in Audio & Video Magazine, Fernando Andrette exposes his impressions about our unique philosophy related to sound reproduction, which effectively sets us also to build speakers. "The bass is very high level, both in mass and air displacement and speed. His cut very impressed, taking me always wanting to hear at higher volumes, size degree of accuracy and intelligibility. The middle region presented itself extremely transparent, with great naturalness. I remembered very electrostatic boxes, such as Quads. And the treble have good size and very soft decay. " See here the full review.